High trade volume is a key determinant of success in logistics but the ability to manage the high demand and supply in rising cargo volumes is the most potent factor for measuring success or failure in the logistics business. High sales volume is what every organization desire because that is what pays the bill and ensure a competitive advantage. Research has shown that air and sea cargo traffic is highest between the months of September to December – even up to March and inadequate preparation by Shippers and Forwarders for the huge volumes that come with it, appears to constitute the largest logistics gap on a Year on Year basis. These gaps have been attributed to infrastructural and human factors. Early booking: Prior booking of shipments with the carriers, organizing the documentation to dispatch shipments early enough are some ways, shippers are saved from costly delays. This can only happen when there is effective communication and genuine commitment to collaboration between Shippers and Forwarders who are the intermediaries between the carriers and the customer. Again, booking for trucks well ahead of time will allow Forwarders to clear their schedules early enough and ensure that cargo is delivered just-in-time. Make Finance Available: Note that the Forwarder, acting on behalf of the Shipper or customer needs to prepare and check bills of carriage, arranging insurance, ensure that statutory charges are paid just in time if the client makes money available early enough. This will eliminate surprises; ensure the delivery process is hitch-free from start to finish and potential delays are eliminated. Make accurate manpower projections: Another important tip for managing the huge end of year volumes for the Forwarder is to make sure that skilled and expert workforce is available, well prepared and positioned to handle the large transactions that come with the season. Here, the Forwarder needs to ensure that both their Commercial and Operational workforce is up to speed in their abilities to handle the commercial, operational/delivery demands of stakeholders. Anticipate the volume and cost: Anticipating the volume will make it easier to plan your deliveries and Leadtime. Again, anticipating the volume will help to project and plan for storage -in terms of what amount of cargo will require storage? How much of these can we store per-time? Do we need to outsource this service to accommodate more of our client’s shipments? What will be the cost of storage or delivery for the anticipated volumes over a period? Delegate effectively: One of the key factors that make an efficient forwarding organization is appropriate distribution of tasks to achieve the common goal of on-time-delivery and satisfying the customer. 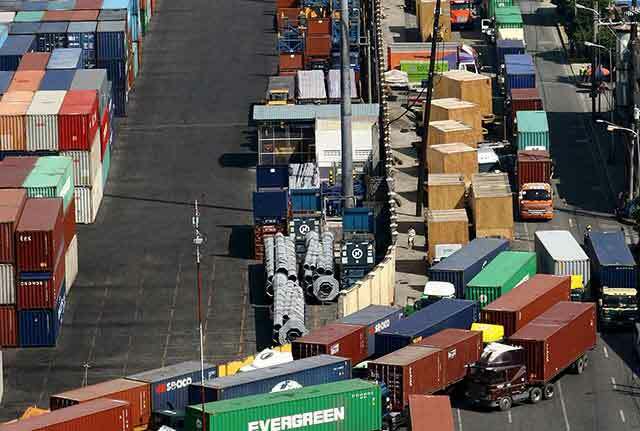 On the other hand, Shippers (customers) must also understand that to be cost-efficient and effective in handling their import formalities, they must outsource this task to a very competent Forwarder whose core it is to ensure that their shipments are managed better, faster and at a considerable cost. Also, Shippers must delegate the duty of interfacing with the Forwarder to a competent staff to save time and reduce the cost of having too many representatives interacting with a single Forwarder. In conclusion, the message here is simple! Anticipate, plan, organize, manage and effectively coordinate the entire import journey from any origin to any delivery location in Nigeria. Avoid surprises; eliminate errors; save time, cut cost and gain competitive advantage. PROJECTION IS KEY!